In the ancient texts of Ayurveda, we read that there are four qualities that, when cultivated, render physicians more effective. 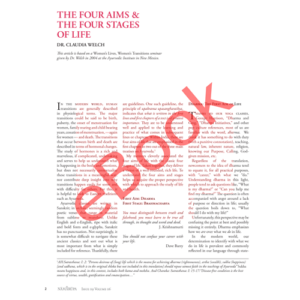 This book explores the nuances and relevance of each quality today. 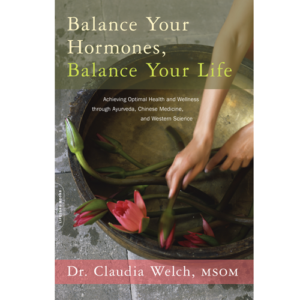 "Dr. Claudia Welch has developed the insight to see beyond the physical and to look for the subtle signs of pre-pathological conditions. The practitioner can use the practical steps in this book to guide them beyond lab tests and toward results that are more effective." Dr. Vasant Lad, B.A.M.S., M.A.Sc. "A wise and compassionate meditation on the art and science of holistic medicine." "This book belongs in the library of every healthcare practitioner, and indeed any concerned individual, who wishes to cultivate good relationships with, and good influence on, all sentient beings, and our planet." 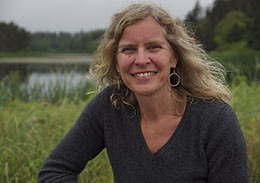 "Sir William Osler, the father of western scientific medicine, said, ‘the practice of medicine is an art, not a trade, a calling, not a business; a calling in which your heart will be exercised equally with your head.’ Dr. Claudia Welch stands in this great tradition. 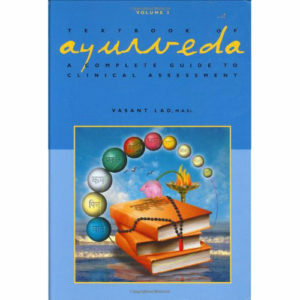 Her book is a clarion call to the spiritual side of medicine, without which healing can never be complete." In the ancient texts of Ayurveda, we read that there are four qualities that, when cultivated, render physicians more effective. 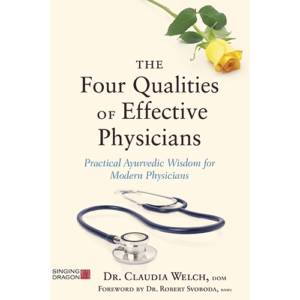 The Four Qualities of Effective Physicians: Practical Ayurvedic Wisdom for Modern Physicians explores the nuances and relevance of each quality today. 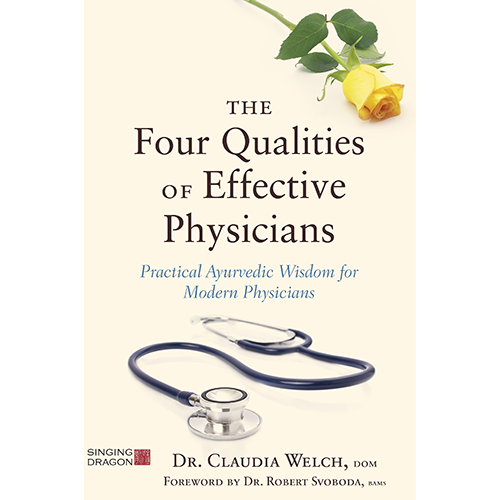 Drawing on Eastern medical traditions and experience as well as on Western science, Dr. Claudia Welch explores how refining these four qualities can improve patient outcomes as well as the character of the physician. This exploration yields curious discussions on issues including how we know what we know (quite a relevant question in relation to the phenomenon of “fake news”), and the mechanics of doctor-patient emotional contagion (who affects whom?). 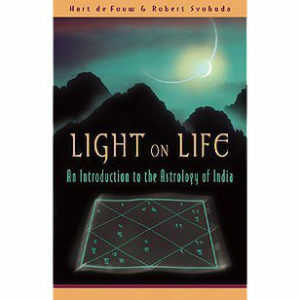 It also outlines practical methods to more clearly perceive reality and more deeply communicate with our patients, spouses, children, associates, friends or even other species. While this book was written with all health care practitioners in mind, and for patients who want to know what to look for in a practitioner, it has relevance to anyone. From physicians to nurses to patients, to parents to members of a global community, each of us affects others, whether we are conscious of this or not. Our effects may be medicinal, neutral or poisonous. We can all learn how to have the best effect possible on those with whom we interact and on our environment. This constitutes the art of medicine, and it is an art not confined to the physician. 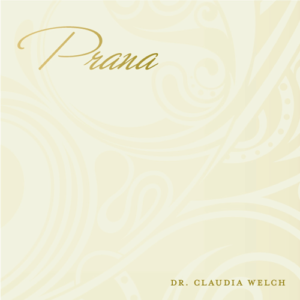 If you purchase this book here, you will receive a free download of Dr. Welch’s Prana visualization, “Dissolving Obstructions,” an exercise she refers to in Chapter 2. You receive a discount if you order bundles of 10 books at a time.